I've been sitting on these swatches for a while. I didn't want to post them before everyone got their bottles because spoilers...but I think they've all gone out, and people are even beginning to swap things. I wish this hadn't been a holiday special, because it is amazing. Before you ask, this goofy name is actually perfect for this color. 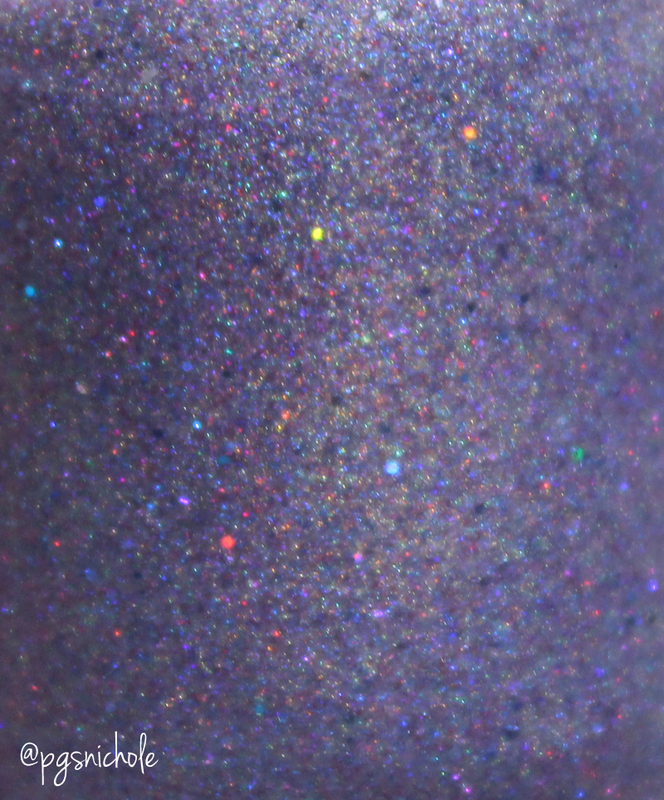 This is exactly the color of the sky as the sun sinks below the ocean, complete with glitter and holo flare...or is that just here? 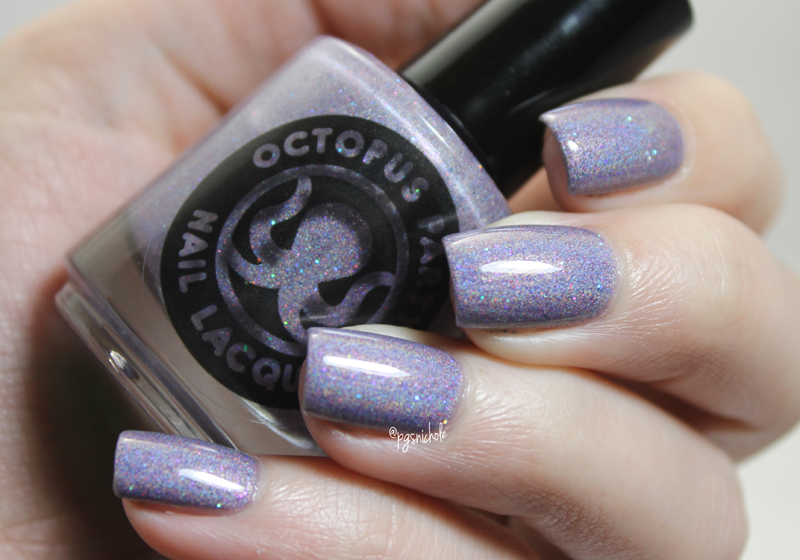 I don't know that I have ever had a polish be so aptly named. Like all of Dave's polish, this applied like magic. There was some...discussion about whether or not to treat this like a topper. I decided to go my own way, and layered three thin layers without any fancy base or undies. I LOVE IT. It has a depth and life in person that will catch your eye immediately. I mean, you totally could use this as a topper...but I wouldn't. In the picture below, I applied two thin coats over black on my index, middle, and pinky fingers. On my ring is Crepuscular in three layers alone. It looks ok layered...but loses some of the magic when you use a different color underneath. Maybe I'm a purist? I took the picture in the sun...and look at that flare! Beautiful!!!! Bummed I missed this one. I wish it weren't a special edition. 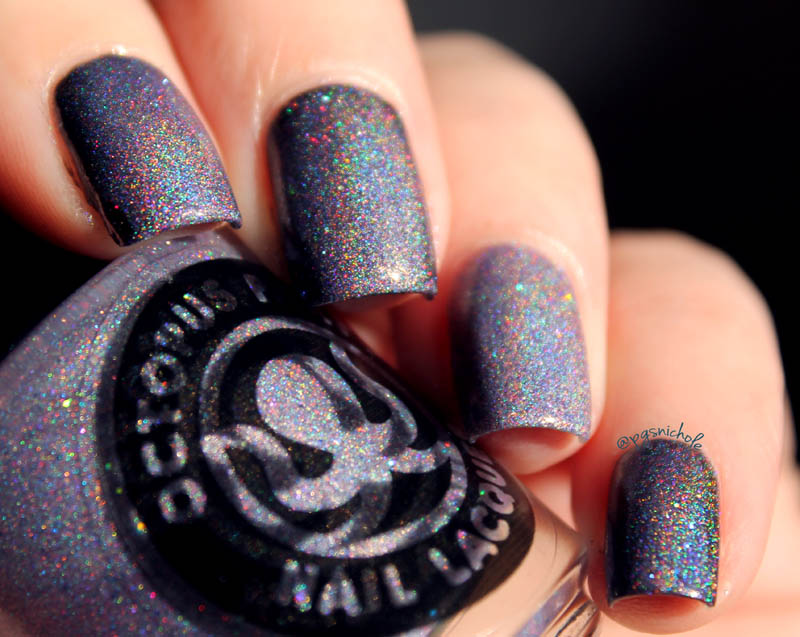 I would love an entire rainbow of polishes like this. 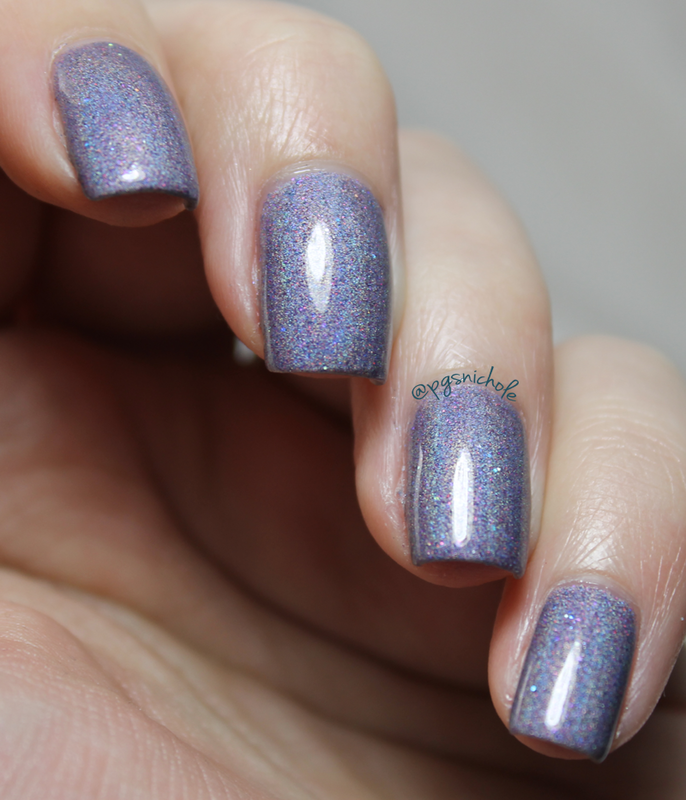 This polish is amazing on its own, you're right and I would use it that way too! you definitely should! I cant wait to see what colors come next. Oh man, whyyyy did I miss this? Perfect swatches as always! LOVE this color... and the name. I figured you would like a polish with a name like this. right?! Always trust a lacquerhead. :D thanks! Its all about the polish here. I need this!! I can't believe I missed this beautiful creature!! You are definitely right, I'd wear this all by it's lonesome!!! Why fix what ain't broke, right??? Right! It is hard to improve on perfection anyway.